Calcium and Boron have a close relationship in the plant. Their absolute concentrations and the relative ratio between the two affects how much of each can be absorbed. Both play an important role in growth points, or rather meristematic tissue. Although both these nutrients are not problematic in most crops, it is good to know when and where problems can occur. As the rate of nutrient absorption is so fast and nutrient fluctuations are high, any deficiency can have an impact on the long term. The uptake of Ca is not as efficient as other nutrients. In soil for instance, the concentration of Ca is many times higher than that of potassium (K), but the uptake is lower than that of K. So the uptake mechanism of calcium is not that efficient compared to the uptake of other nutrients. There are two ways Ca is absorbed into the plants, at very low levels it is controlled metabolically and at very high levels diffusion takes over. Note that nitrate and other negative ions such as chlorides reduce the efficiency of Ca uptake as well. Ions vary in the location where they are absorbed on the root. Potassium and phosphorus are absorbed along the whole root system. Calcium and Magnesium are absorbed in a small area just behind the root tip. This places Ca and Mg in a disadvantage. Any damage to the root system will significantly impact the absorption efficiency of Ca and Mg compared to K and P. Although there are two ways Ca is absorbed, the most dominant way is passive which contributes to the low absorption efficiency rates. Not much is known about Boron uptake. There is still a lot of research to be done to determine which of the two processes, active or passive is the dominant method of uptake. Although Boron is relatively immobile in the plant, transpiration plays a significant role in translocation. Since B is translocated mainly in the xylem, high concentrations will be found in leaf tips and margins. So be careful when sampling leaves for B analysis. Any deficiency will be noticed early in the growing parts of the plant rather than old leaves and stems. Boron has a unique function in the plant. It is available as boric acid and is responsible for the development of a fine structure of cell walls. Boron deficient plants show coarser cell structure and fewer lamellae thus weaker cell structures. Boron has also an important role in meristematic tissue, especially in root points, pollen growth and shoot growth points. Thus it plays an important part in tissue development or growth. The bad news is that in hydroponics nutrient concentrations can fluctuate fast and significantly. The effects of B deficiency can be seen within 6 hours on certain tomato varieties, especially on cell division, which is crucial during fruit formation. Physiological disorders such as catface could also be the cause of B deficiency during the early development phase of the fruit. Calcium and boron support each other in the plant (that is a laymans term). For instance, low deficient levels of B will reduce the uptake if Ca, no matter what the Ca level is. Increasing the B content and Ca uptake increases up to 5ppm B. 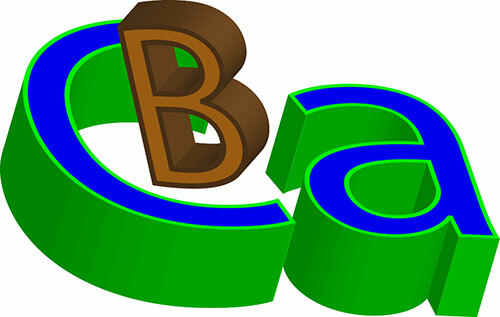 If Ca is deficient, B uptake is also reduced and if B is too high, B toxicity symptoms appear. So low Ca with high B levels is dangerous. You can have high Ca, but with low B, that Ca is not absorbed. A third factor that will influence both Ca and B absorption is pH. Generally the optimum pH for calcium uptake is between 7 and 8.5, whereas for boron it is between 5.0 and 7.0. So the two just miss each other. Adequate uptake is between 6.0 and 8.5 and no deficiencies will be noticed if both calcium and boron levels are within the required concentrations.